I have received a exclusive information regarding the Legend of Zelda TV series coming to Netflix. Apparently some mistranslations were present and finally the details can be revealed. THe first major detail is that the TV Show is going to be computer animated and not live action. Nintendo's intent is to be the exact opposite of "Game of Thrones" TV show and be full of silly humor that the entire family can enjoy. The TV show's artistic design will be done exclusively by illustrator Cassio Yoshiyaki who will be paid 5 billion yen for each season. Cassio released the pictures above a few months ago and are from the Zelda TV show. Cassio signed a none disclosure agreement with Nintendo and couldn't about it being part of the TV show but was allowed to reveal the photos early. The TV show will be made for stereoscopic 3D in mind, and in fact it will be only watchable in 3D. Nintendo understands that some people cannot see in 3D, and suggests they get corrective eye surgery if they want to enjoy the TV show. The plot points were scarce but Netflix has confirmed the storyline will try to fix all the plot holes within the Zelda timeline and be considered cannon. The Wii U Zelda game was recently delayed so both the TV show and upcoming game can have connected storylines. 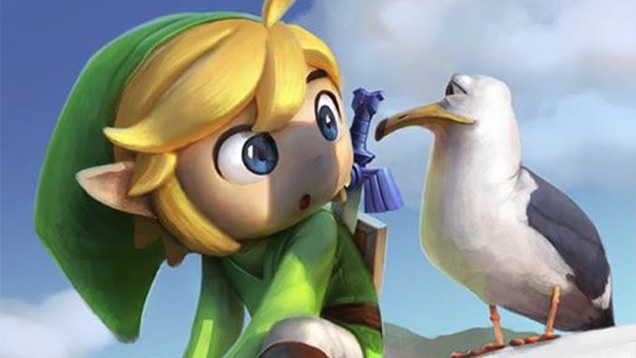 The voice actors have been confirmed for Link and Zelda in the upcoming TV show. Jeffrey Rath will reprise his previous role as Link. Jeffrey Rath voiced link in the Phillips Cdi Legend of Zelda video games and had been a fan favorite for decades. Famous Hollywood star Whoopie Goldberg will be playing a sassy youn Princess Zelda in the TV show. Nintendo has signed famous Film director Uwe Boll to spearhead the entire TV show's production. Netflix has said the TV show will begin to air episodes in October of 2016 and will introduce a 3D ONLY Netflix during that time. Nintendo has promised to reveal a trailer and more information in a Nintendo direct scheduled for April 1st, but gave 3Dor2D.com the exclusive to share this information.